Anchorage is the largest city in Alaska with a population of over 300,000. It has a very low population density and covers a large area of land. Anchorage spreads out over 1900 square miles, but much of this land is uninhabited and mountainous. It's also a port city in the southcentral region of the state. The most dense and urbanized part of the city is bordered by Muldoon Road to the east, Rabbit Creek Road to the south, and Cook Inlet to the north and west. There are a small handful of hostels in Anchorage that offer guests affordable accommodation with a nice atmosphere. Most hostels are conveniently located in the downtown area and the staff are knowledgeable and helpful. Hostels make a great option if you're hoping to save money and meet other travelers during your time in Anchorage. 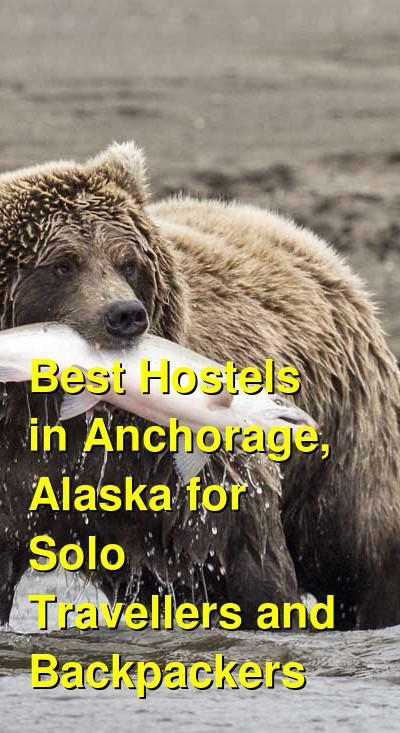 How much do hostels in Anchorage cost? Base Camp Anchorage is a favorite hostel for budget travelers and backpackers to Anchorage, Alaska. The hostel is conveniently located just a short walk from several great cafes and restaurants. It's also close to live music venues and one of the most popular breweries in town. If you need to pick up some camping gear before heading out of town, there are several great gear shops nearby including REI and Alaska Mountaineering and Hiking. You can walk to these shops in less than five minutes. This is a small hostel that has a strong sense of community. The atmosphere is welcoming and you'll meet a diverse crowd of travelers here from both the United States and abroad. The hostel has both four bed dorms and a private room where guests can stay. Those staying in dorms are provided with their own security locker for their belongings. This hostel also offers all of the standard amenities including free wi-fi throughout, public computers that guests can use, a laundry room, laundry facilities, a book exchange, and a shared kitchen. The staff and owner here are very knowledgeable and helpful. 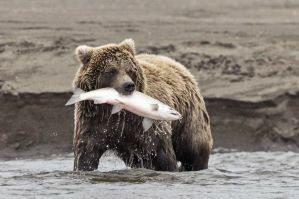 They can offer all kinds of advice to make sure your Alaskan trip is as enjoyable as possible. If you're looking for a quiet and comfortable place to stay in Anchorage, then Arctic Adventure Hostel is a good option. The hostel has everything a budget traveler might need including free wi-fi throughout the facilities, a public computer, a washer and dryer, storage space for luggage, and parking spaces for those who have vehicles. The hostel also has a nice kitchen with any pots, pans, or supplies you might need. The kitchen is a great place to prepare your own meals and this is particularly helpful in Alaska where food can be quite expensive. A free breakfast is served every morning as well. The staff here are respectful and helpful. They know the area well and make a great resource if you have any questions or would like travel advice. This is a quiet hostel, so if you're hoping to meet a lot of travelers, that may not happen, but you can be assured a good night's sleep in a comfortable bed and a relaxing atmosphere where you can rest before or after a long trip. Bent Prop Inn Downtown is another popular hostel for backpackers to Anchorage. It's conveniently located in downtown Anchorage and it offers easy walking access to many restaurants, activities, and events. It's also close to several types of transportation including the bus, train, and national park shuttle services. The city bus station is just a block away and the train station is a few blocks away. The hostel offers any amenities that you might need. There's free wi-fi, shared computers, luggage storage, and parking spaces for those who arrive with a vehicle (for an additional $4 a day). The staff at this hostel are great. They are friendly and knowledgeable and they make sure all guests are respectful and happy with their stay here. If you're looking for an affordable, comfortable, and well located hostel in Anchorage, Alaska, then this is a good option.